Paytomat operates in six European countries (Ukraine, Georgia, the Netherlands, Czech Republic, Bulgaria, Poland) allowing over 329 merchants to accept Bitcore BTX. Spending Bitcore in Europe is getting easier thanks to Paytomat. 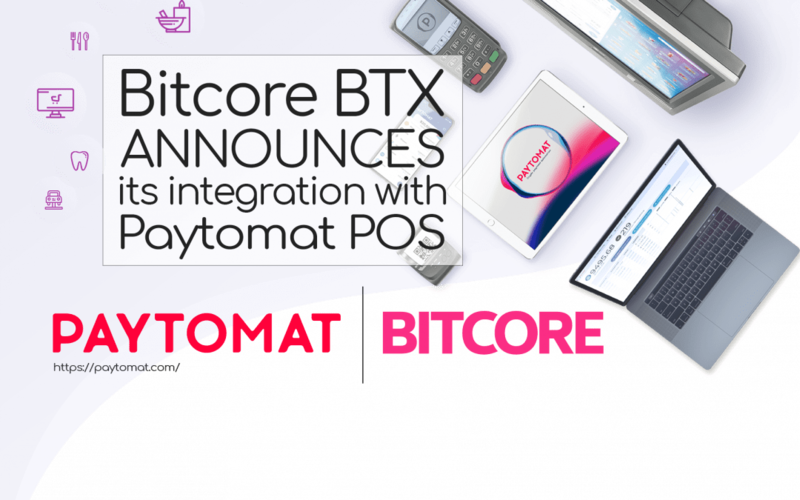 We invite the Bitcore community to join Paytomat to help BTX, community driven project, to establish fiat-to-crypto gateways, build direct relationships with POS vendors, and help merchants start accepting cryptocurrency. With Paytomat, resellers will be able to integrate Bitcore into payment systems without having to build their infrastructure. The point of sale (PoS) is a system ready for crypto integration. This deal is an important development that will accelerate the adaptation of Bitcore. But we have more for you. 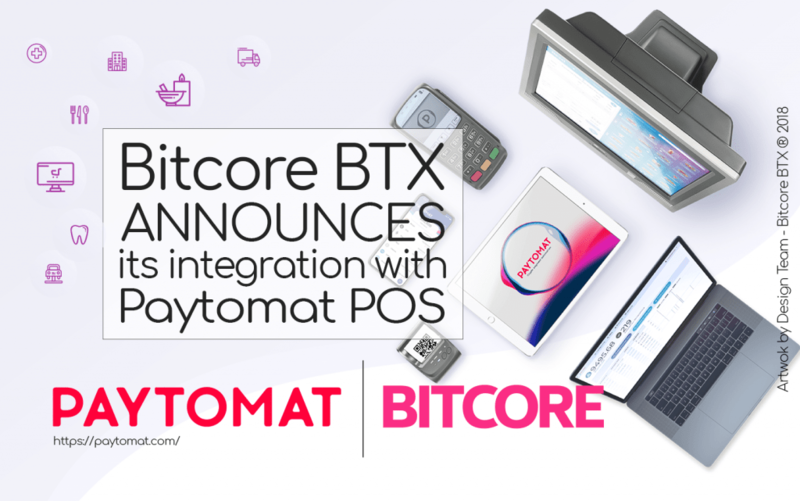 Furthermore, to the integration to their POS system, Bitcore will also be available on their Paytomat Wallet (Android and iOS) which interacts as a convenient multi-coin tool allowing storing and managing assets in one secure application. It is the fastest way to transact in the Paytomat ecosystem. Moreover, it supports mQR (Merchart QR) natively from the Merchant App (available on App Store and Play Store). After the launch of their Loyalty program, POS customers will receive bonuses for each successful transaction which is another huge advantage. As a conclusion of these massive advantages, team Bitcore is super excited to announce this much appreciated partnership. We think that this already existing so called “real use case” service fits perfect to the vision of Bitcore as the #1 payment solution. Established on 24th of April 2017, Bitcore aims to be the #1 solution for direct payments. Bitcore operations are low cost, fast and also extremely safe. All these features will attract traders who want to attract more customers by providing an easier way for customers to pay. Paytomat is a decentralized system for cryptocurrency payments for e-commerce and POS (point-of-sale). This platform encourages customers and businesses to make payments with different types of cryptocurrencies with an aim to bringing the liquidity to the crypto market. Paytomat helps customers make cryptocurrency transactions on an existing POS.